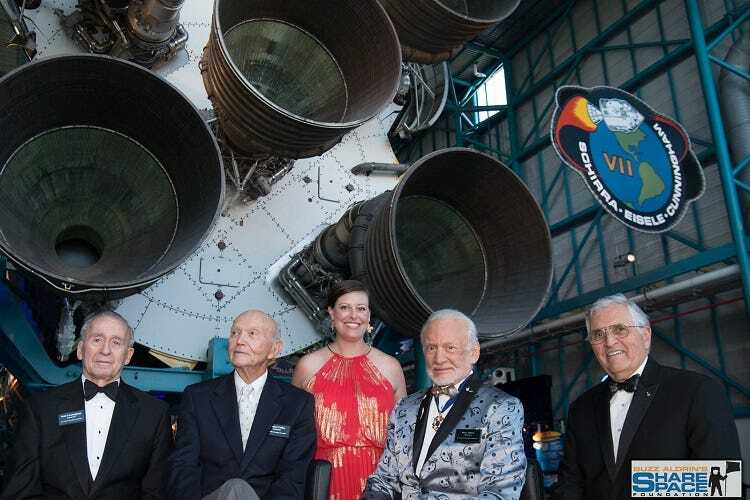 On July 15th, Buzz Aldrin, astronaut and second person to walk on the moon, hosted the third annual fundraising gala for his non-profit foundation, ShareSpace, at the Kennedy Space Center in Florida. 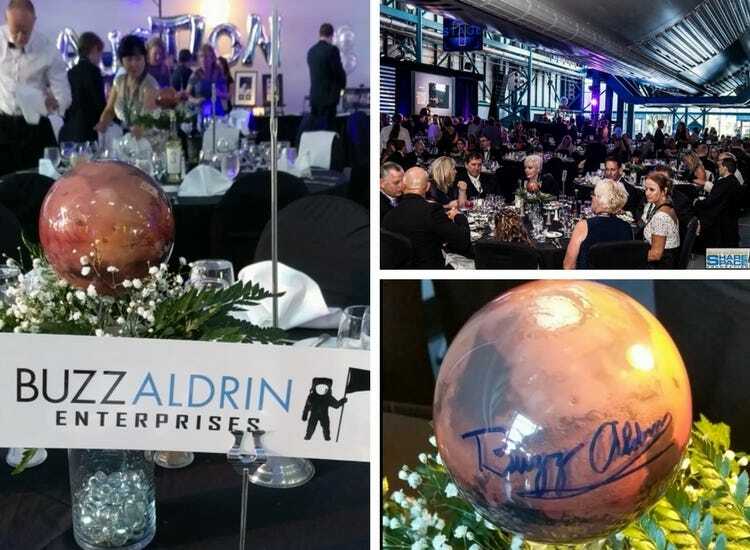 MOVA International had the opportunity to donate 50 of our Mars MOVA Globes as centerpieces for the event. The globes were signed by Buzz and auctioned off to raise funding for space education. The gala raised over $200,000 for the foundation. We were honored to be a part of this special day. 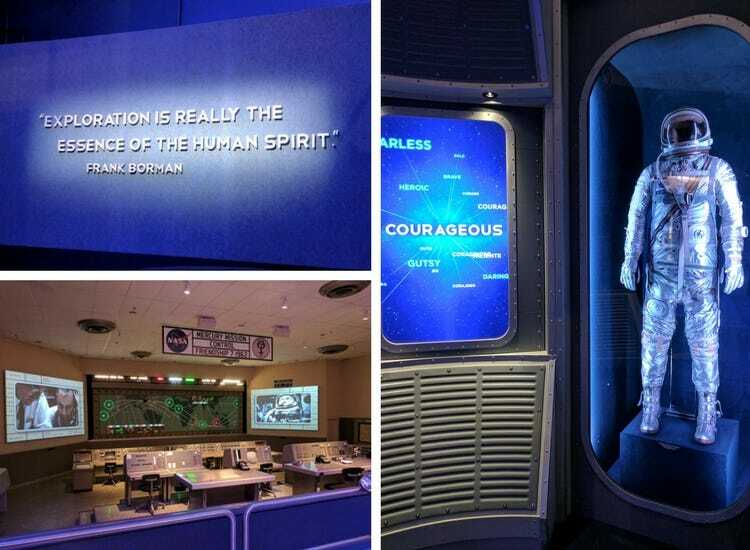 Since 1998, ShareSpace has reached over 500,000 students across the country with the hopes of making space exploration an established part of the elementary education curriculum. 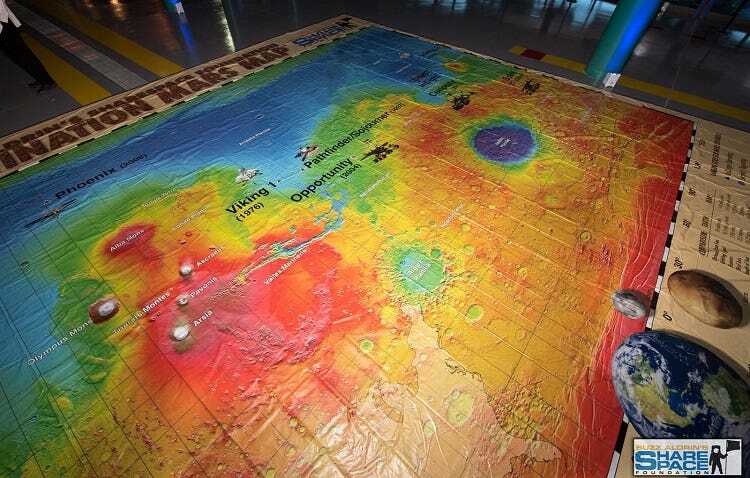 Their newest curriculum includes a huge floor map showing Mars which encourages kids to get excited about outer space while learning practical lessons about math and physics. Do you remember learning about the solar system in school? Apparently, the average elementary school student spends six weeks on the subject. After elementary school, the average American learns about outer space in some capacity for a total of 30 minutes. 30 minutes. That is a small amount of time for such an important part of our country’s history and future. As Buzz’s Mission Control Director, Christina Korp, so eloquently put it, “The moon landing is when the world collectively stopped to witness something good. We all remember tragedies, but this was something different.” This was a collective moment of hope and wonder still unmatched to this day. Being able to celebrate the 48th anniversary of the moon landing and meet the astronauts who’ve walked on the moon was so inspirational. When I arrived at the event, I realized the enormity and impressiveness of the Kennedy Space Center, which can’t be overstated. It is like Disneyland for space nerds. 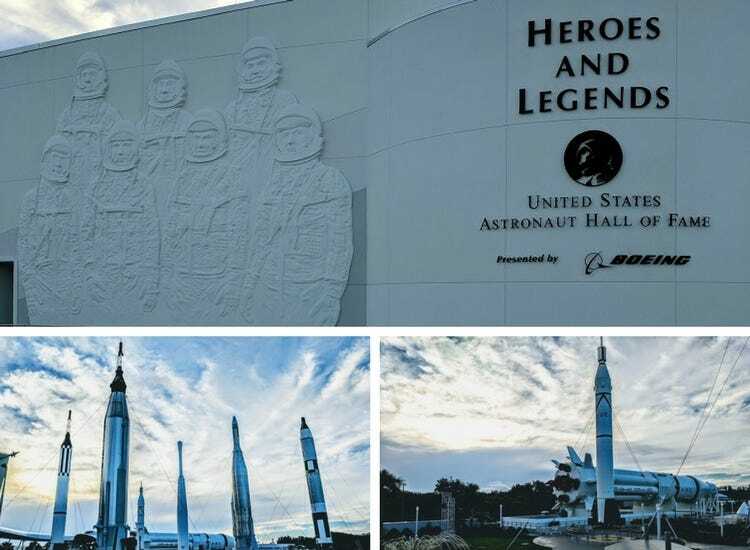 The Heroes and Legends Hall of Fame building is filled with memorabilia, video interviews with astronauts, and much more. The importance of the space program and learning our history was made clear while walking from station to station. 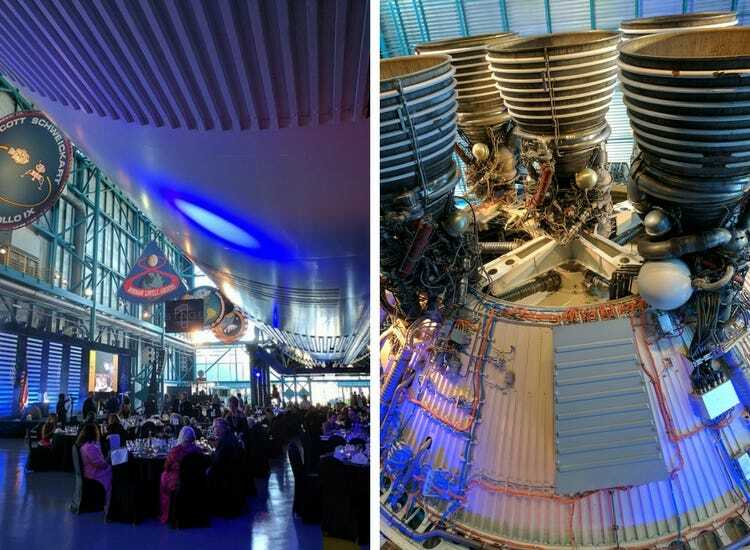 Attendees gathered for the gala inside the Saturn V building where the Saturn V rocket is housed. The rocket dwarfs everything and everyone in the room and it’s hard to take your eyes off it. Throughout the evening, speeches and awards were given out to people doing important things in the realm of outer space exploration and education. Jeff Bezos, CEO of Amazon and owner of Blue Origin, an aerospace manufacturer and spaceflight services company, won an award for his dedication to renewed interest in space exploration. He talked about the need for reusable spacecraft in order to get cheaper and more sustainable spaceflights. He also talked about how a colony on the moon is the necessary first step in making trips to Mars a reality. 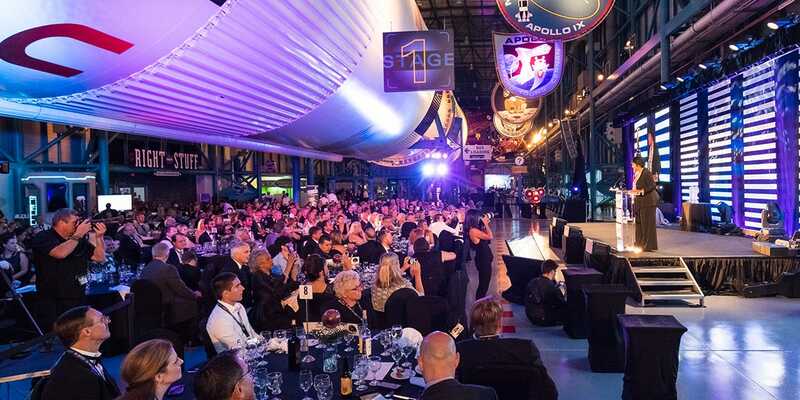 The overall sentiment in the room during the gala was that space travel is necessary for the future of our society and countries across the globe. A renewed collective mission to land people on Mars will bring the world together like never before. So much passion and knowledge in one place is contagious and you could feel the room swell with pride and excitement every time someone mentioned going to Mars and what the next 20 years in space travel could mean for our world.